Who would not love this dress? It can go for any occasion all year for any season. I love the fit for this one and it’s really soft too. This really cute and stylish dress can only be found at Romwe a very affordable price. So, check this one out and get yours today! 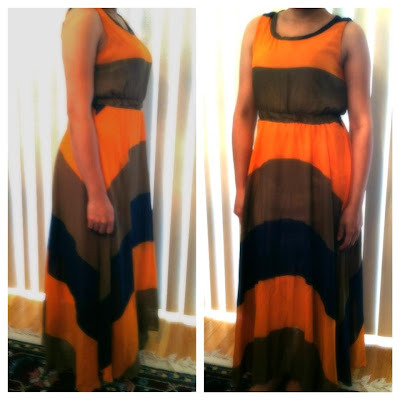 Orange Dress, featuring scoop neck and sleeveless styling, color block with pleated detailings, lined and elastic waist, slim fit, soft-touch fabric.This elegant dress is suitable for you when you go for a outing activity on beach on holidays. So gorgeous a dress, Momi Glen! Looks so nice on you! :) Pahirama ko ana inig mo-seksi na ko sama nimo ha? Lol.